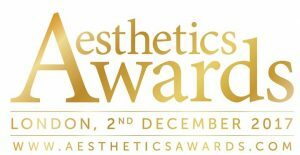 The Athena Clinics group are a select number of highly-skilled aesthetic clinicians who are not only exceptionally dedicated in their work, but offer the extra security of being fully trained doctors and nurse prescribers with a specific focus on promoting industry standards and safety in Aesthetic Medicine. All Athena Clinics Group practitioners have come from NHS-trained backgrounds, and together have over 60 years combined healthcare and cosmetic injecting experience. A number of the clinicians have worked in London Harley St, or have trained Harley St doctors, and a growing number are a senior members of some of the UKs most respected and well known cosmetic committes. Mr Andrew Rankin is the Vice Chair of the British Association of Cosmetic Nurses (BACN), whilst Miss Jane Laferla heads up the Welsh Division of the BACN and sits on the board of the Wales Aesthetic & Cosmetic Society. Any Athena Clinics Group doctor or nurse prescriber will always be happy to discuss and explain any aspect of the treatments offered, and with you share their wealth of medical experience to ensure a safe and well-informed cosmetic experience. The clinics are located in various locations around the country and we encourage you to make contact using the contact forms on the Practitioner/Clinics pages. Each clinician will then personally contact you back to discuss any questions you may have and invite you for a face-to-face consultation in order to carry out a full skin-health assessment, before suggesting procedures that will fit with your desired goals and expectations. Many cosmetic treatments can be offered on the day, but clients may wish to take some time after initial consultation to think about the treatment before returning for their chosen therapy. We encourage a well-balanced decision making process so please ask any questions you may have when you meet your clinician – they will be happy to answer all queries. Professionalism in all aspects of aesthetic medicine lies at the very core of our beliefs.